Born: 3rd November 1889, 36, Woodhouse Street, Ipswich. 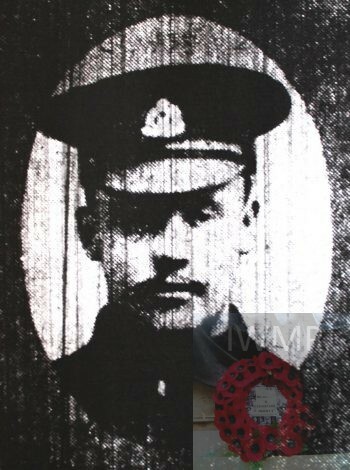 Died: On or since death presumed: 18th August 1916; aged 26; KiA. Reported missing 18th August 1916. 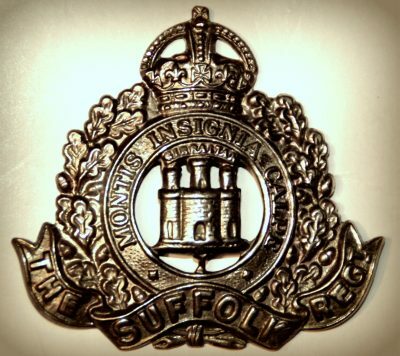 Formerly 980, Suffolk Cycle Regiment. 1891 36, Woodhouse Street, Ipswich. Percy was a year old and living with his parents, siblings, cousin & uncle. Arthur Hurrell Berry, 37, an Iron Moulder, born Ipswich. Emma Berry (nee Shimmings), 39, born Shottisham, Suffolk. Arthur Edgar Berry, 15, born Ipswich. Frederick George Berry, 11, born Ipswich. Ada Sarah Berry, 9, born Ipswich. Charles Henry Berry, 5, born Ipswich. Edward Shimmings, 37, a widower, a Seaman, born Ipswich. Grace Florence Shimmings, 11, born Ipswich. 1901 36, Woodhouse Street, Ipswich. Percy was 11 years old and living with his parents, brothers & cousin. Arthur, 47, an Iron Moulder. Charles, 13, a Printer – Compositor. Herbert John Berry, 8, born Ipswich. Grace Shimmings, 21, a Tailoress. 1911 4, David Street, Ipswich. Percy was 21 years old, a Thrashing Machine Painter. He was married & Head of the Household. In 1909, Ipswich, Percy married Laura Lily Ann Hearn, born October, 1891, Coddenham, Suffolk. Percy Frederick Berry, born 1900, Ipswich. Cyril Herbert Berry, born 1912, Ipswich. Charles J.F. Berry, born 1915, Ipswich – died 1915, Ipswich. Lily Violet Berry, born 1916, Ipswich.